For today’s deals roundup, we’ve listed the best smartphone deals on the internet right now. We’ve put together devices that are from brands like Honor, Samsung, Xiaomi and more. If you’re on the lookout for a smartphone and searching for the best deal then you’ve come to the right place. 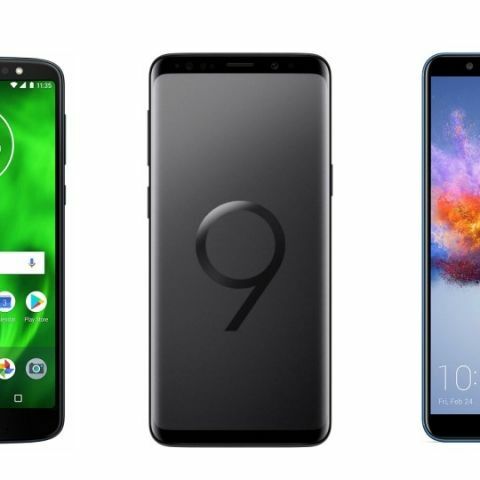 We have listed the top 5 smartphone deals available on the internet right now. You will find gadgets from brands like Honor. Samsung, and more. The Honor 7X Lite sports a 5.9-inch Full HD display with a resolution of 1920 x 1080 pixels with an aspect ratio of 18:9. The device also features face recognition, which allows you to unlock the phone with a glance. The smartphone is backed by a 2.36GHz Kirin 659 octa-core processor, which is paired with 4GB RAM and 64GB of internal memory. When it comes to the camera, it has a 16MP + 2MP dual-primary camera and an 8MP unit at the front. Click on one of the links above to buy. The Samsung Galaxy J8 sports a 6-inch Super AMOLED HD display. The smartphone features a 16MP + 5MP dual-rear camera setup and a 16MP unit at the front. The device packs a 1.8GHz Qualcomm Snapdragon SDM 450 octa-core processor with 4GB RAM and 64GB of internal memory. If you purchase the device from Flipkart then you will get an additional cashback of Rs 2000 on ICICI Credit and Debit Cards. Click on one of the links above to buy. The Oppo F7 features a 6.23-inch full HD display with a resolution of 2280 x 1080 pixels. It has a 25MP front-facing camera and a 16MP sensor at the back. The device is backed by a 2GHz MediaTekP60 octa-core processor with 4GB RAM and 64GB internal memory. Click on one of the links above to buy. The Samsung Galaxy S9 is a water-resistant smartphone, which features an IP68 rating. The device sports a 5.8-inch Quad HD Super AMOLED display. As far as the cameras are concerned, it has a dual 12MP + 12MP dual rear cameras at the back, while the front is the 8MP unit. The other feature includes slow-mo video recording, fingerprint sensor, face unlocking, iris scanner and more. Click on one of the links above to buy. The Moto G6 sports a 5.7-inch full HD display with a resolution of 1080 x 2160 pixels. The smartphone is backed by a 1.8GHz Snapdragon 450 octa-core processor. The device packs a 3GB RAM and 32GB internal memory, which is expandable up to 256GB. It has a 12MP + 5MP dual rear cameras and a 16MP unit at the front. Click on one of the links above to buy.